I deleted my site permanently from wordpress and when I google my name, the old wordpress site still appears, despite the fact that it’s gone. Can someone from the support team help me to delete it? I don’t want my clients getting confused with my actual, live site. Doesn’t seem to work. Followed the directions with confidence. My subdomain is still publicly viewable. 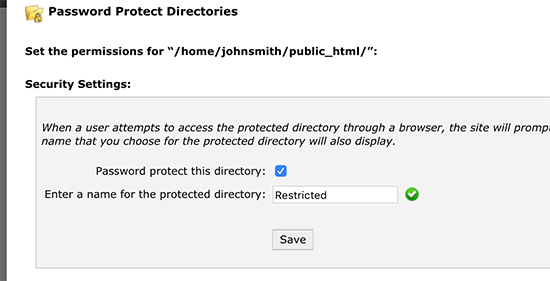 If you have password protected your subdomain directory, then please review its settings again in cPanel. If everything looks alright, then you may want to contact your WordPress hosting provider. Yes. Adding Disallow:/ in robot.txt will tell all search engine bots, do not crawl this site or web page. i want memebership pages member profile page to be not indes by any search engines how to do ???? I tried this but it messed up my .htccess for my WordPress install. I’m currently having a WordPress.com Blog (Free Plan) & desire to sell my Digital Stuff online without setting-up a website and relying wholly on the Blog, at first (have been short of funds). Thus, going through with this thought I have made changes to my Blog, under this after making the payment, the customer is redirected to my blog page haivng a link to download the digital content. So, I just want the payment gateway to be able to redirect the traffic to the Download page on my blog and not have it searchable via search engines, etc. & neither be it listed under the WordPress.com Posts list/Pages, etc. because if the download page is searchable by the Search Engines & listed under my Blog’s post, I wouldn’t earn anything because then the customer would directly download the content without making the payment. I’m learning WP now and designing my site. For now, I don’t want the site crawled, so I’ve checked the Search Engine Visibility Box and I’ve add the password protection. However, in a few months, I’ll want the site to go live and I’ll want visitors to my site. If I uncheck the Search Engine Visibility box and take off the password protection, will the robots nofollow header automatically be updated? Or will I have to manually update this in the header section? Yes, it will be. However, to be extra sure you need to submit your site’s xml sitemap using Google webmaster tools. 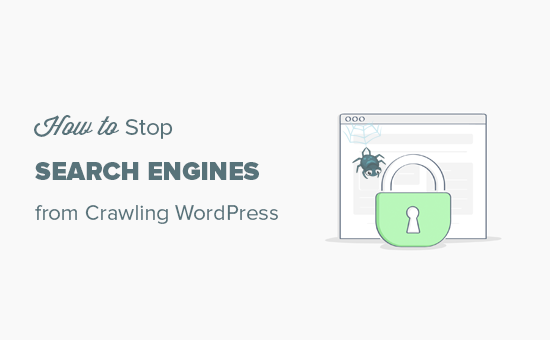 This will allow you to see if any crawl errors are found on your site. Is it possible to block only specific pages on your site, rather than blocking the entire site? WordPress offers a Password Protect Option on any of your pages and posts. Simply change “visibility” in your page or post edit to “password protected”. 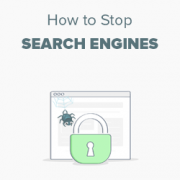 How can I get Google and bing to crawl my site while stopping SeMalt from crawling my site. SeMalt sends traffic to my site making it look like I have more hits, however thesclicks leave my site straight away and by so doing so increase the bounce rate to my wordpress site.